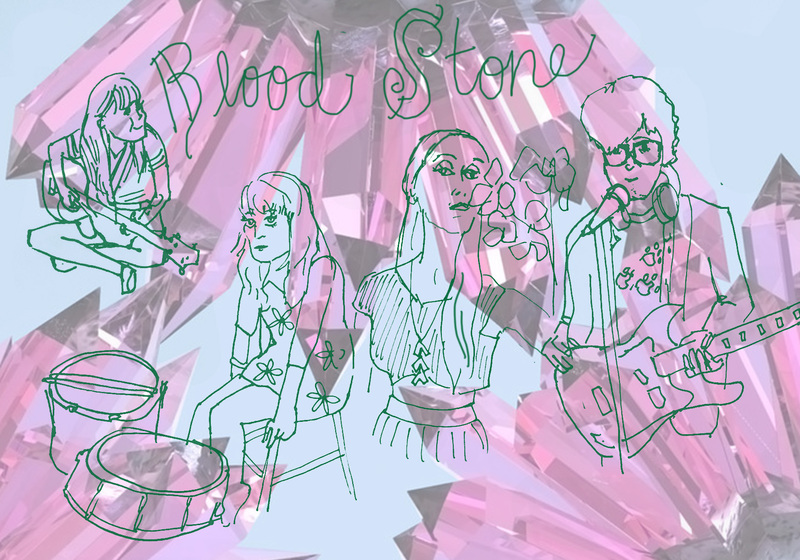 New Detroit band Blood Stone was invited to play their first show, coming up on Friday, Sept. 26th at the Lager House with Casual Sweetheart, Bermudas (Grand Rapids), and Deadly Viper Assassination Squad. We did a quick Q & A with the band to give you an idea of what to expect. Two summers ago, Vanessa, Hannah and Ted played music together under the name Danielle but never got much done. Things finally came together this May when Mary joined up and Blood Stone spent the rest of the summer writing songs. This will be your first show, what’s next for Blood Stone? Making more songs and recording. 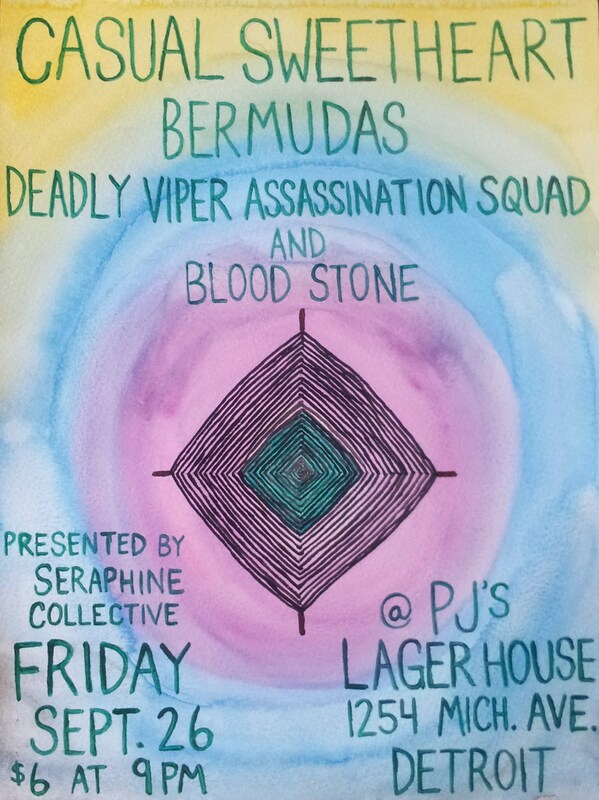 We’re super excited to play the Seraphine Collective show!